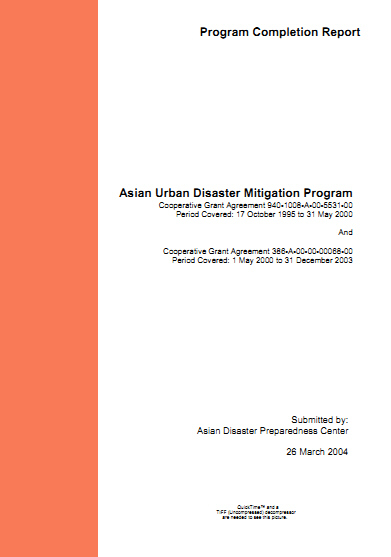 The Asian Urban Disaster Mitigation Program (AUDMP) implemented by the Asian Disaster Preparedness Center (ADPC) is an OFDA disaster mitigation success story. 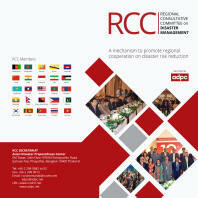 Due to its design, effective implementation, and duration over a remarkable nearly ten-year period, the program contributed substantially to the present recognition in the countries of the region of the importance of disaster mitigation to the process of sustainable development and economic growth and stability. 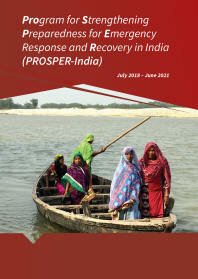 AUDMP identified specific models that work in the Asian context to reduce vulnerability to disasters and documented those models in detail to support their replication in many other communities and countries. 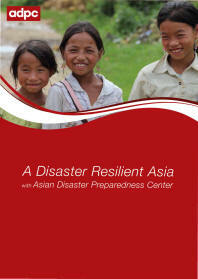 It established strong networks of regional and national disaster mitigation professionals and experts who can continue to help replicate disaster mitigation models unique to the Asian context throughout the region. AUDMP implementation partners now represent a network of diverse Asian institutions that can continue to promote disaster mitigation in their home countries as well as in neighboring countries. The program built the capacity of ADPC to be able to support regional disaster mitigation initiatives in Asia through these networks of institutions and professionals both technically as well as at policy decision making at the highest levels of government.